Here I am again with a new question…! This time with this issue: I have an oblique line going from T8 to T7. On the middle of this line, I put a point, T10. 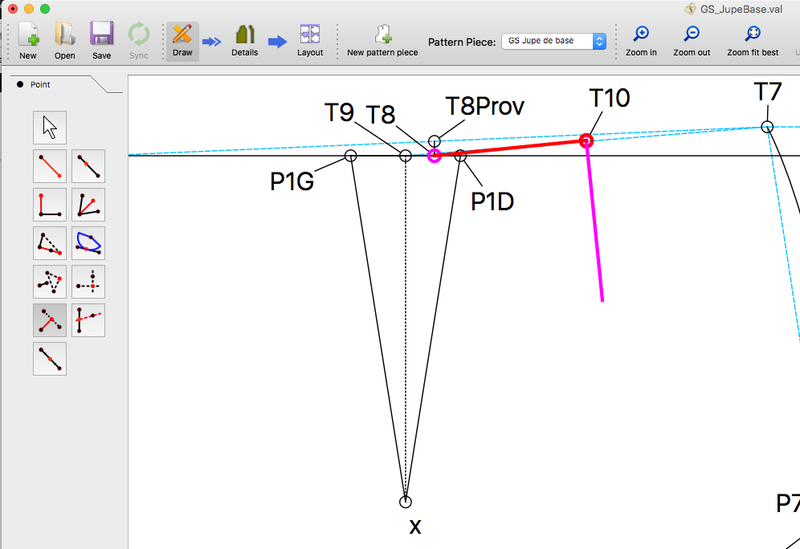 What I would like to do it to set a perpendicular to T8…T7, starting from T10. Hi Grace, I see, I just had picked the wrong tool… (I am discovering the software little by little, I try first to find out by myself but here for example I did not notice there is another tool with perpendiculars, so I thought I was using the tool in a wrong way). Thank you very much.